The unbiased nature of deep transcript sequencing makes it the ideal technology to discover novel uncharacterised genes. Lets screen our favourite RNA-seq experiment (azacitidine-treated AML3 human cells, GSE55123) for novel expressed genes. 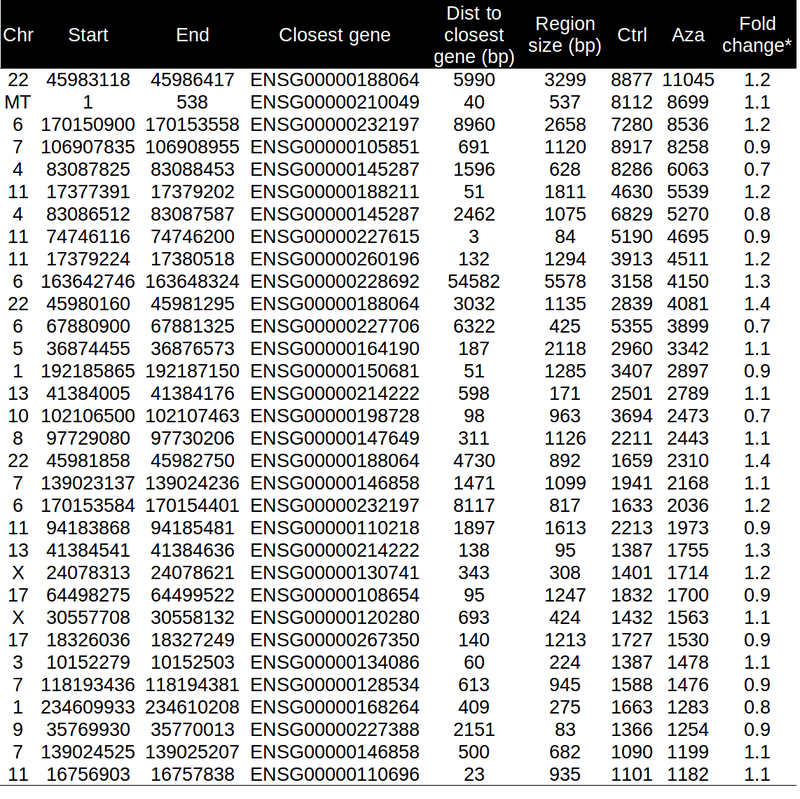 I use Ensembl gene annotations. Now for convenience, I'll merge the data from the three replicates with samtools. Just announced from the ENCODE mailing list is the workshop to analyse and make the most of ENCODE data. Attend if you can! We would like to announce the first ENCODE User’s Meeting, which will be a 3-day workshop to learn how to navigate, analyze, use, and integrate ENCODE data. The NHGRI-sponsored meeting will be held from June 29 - July 1, 2015 at the Bolger Center in Potomac, MD.